There’s no meal I love more than a lovely summer brunch in the sunshine, with some strong coffee and a warm pastry! 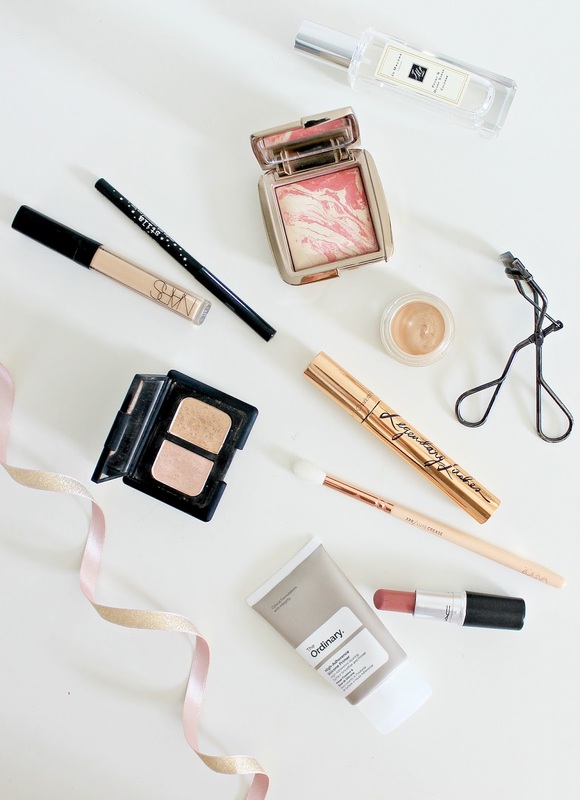 As this weekend is my last in Exeter, I wanted to make the most of the weather and have a good time – and seeing as I’m heading out to brunch for the first Sunday in forever, I thought I’d share some of my favourite makeup picks for the occasion. I’ve been smitten with The Ordinary High Adherence Primer for warm days when makeup can tend to slide. It really works as an excellent base to keep foundation and concealer in place and it’s such an affordable option too. I tend to keep things light on the base front, usually just opting for a tinted moisturizer and a high coverage concealer. The Nars Radiant Creamy Concealer gives me enough coverage where I need it, but on it’s own, it’s still light enough to be a comfortable base for the summer. For eyes, I’ve been using the Nars Alhambra Eyeshadow Duo non-stop for the past few weeks and it’s the perfect little combo for a shimmery neutral eye. With a little of the Stila Eyeliner in Stingray smudged along my lash line and lashings of the Charlotte Tilbury Legendary Lashes Mascara, my eyes look bigger and more awake – perfect for lazy Sundays! My go-to highlight product has been the Beauty Pie Triple Beauty Liquid Luminizer, which gives a beautiful subtle but golden glow to the skin without looking heavy on the skin. I love pairing this with the Hourglass Ambient Blush in Diffused Heat for a flush of warm pink to the cheeks. The formula of these blushes wears so well – they’re definitely some of my favourites out there. For lips, I love to keep things simple with a swipe of Mac Brave to keep with the pink theme. With a splash of Jo Malone Peony and Blush Suede, I’m good to go. And that’s it! Nice and simple, pretty pink makeup for a Sunday brunch. Next Post Easy & Affordable Blog Prop Ideas.